WHO KNEW KNITTING COULD BE DEADLY! Former teacher turned reporter Deena Sharpe craves more adventure than covering dull city council meetings in the small town of Maycroft, Texas. But when she follows a hunch to investigate a story lead, she finds a dead woman strangled by a knitted scarf and becomes suspect number one. 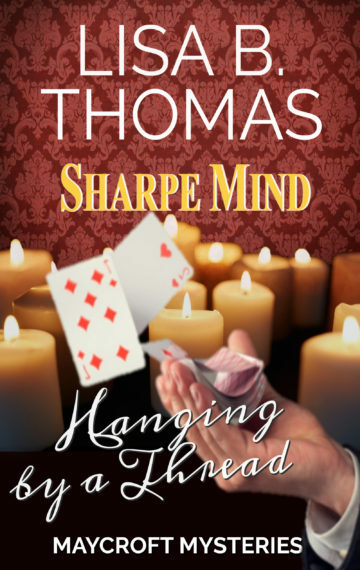 Sharpe Mind, Book 3 in the Maycroft Mysteries, offers readers a healthy dose of intrigue along with a generous sprinkle of humor.